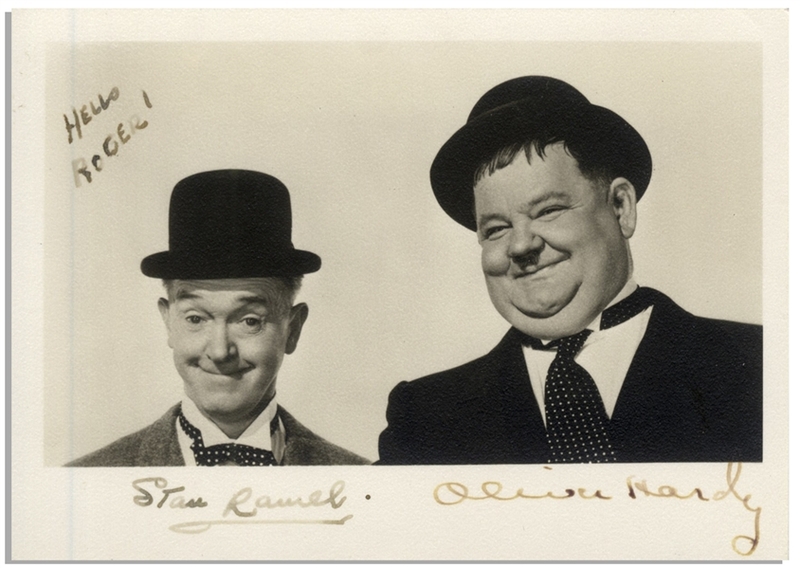 Photo of the legendary comic duo Laurel & Hardy, signed by Stan Laurel and Oliver Hardy. Matte photo is signed by each man next to their image. Measures 5'' x 3.5''. Strip of tape residue to verso, otherwise near fine condition.